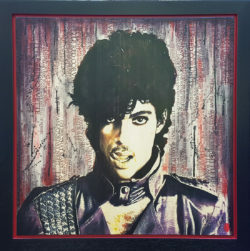 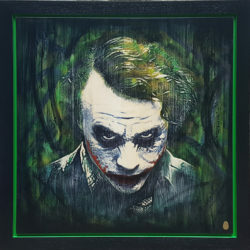 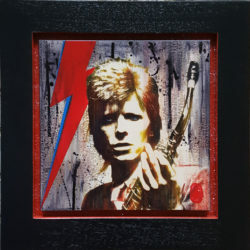 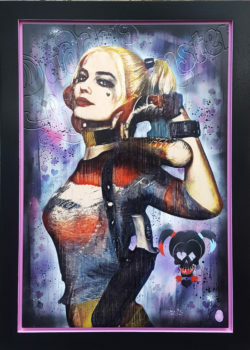 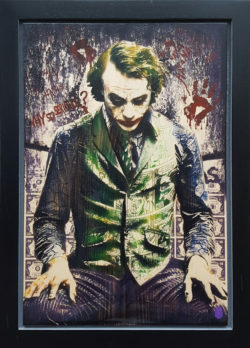 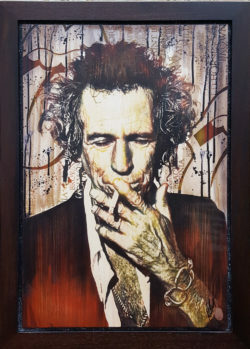 Rob Bishop is known for his iconic imagery and unique style which is achieved through designing, engraving and painting on wood. 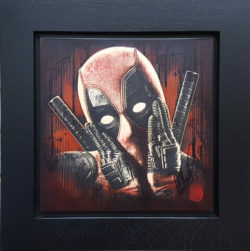 A Hertfordshire based artist, Rob’s artistic journey started when he studied Graphic Design and Model Making at University. 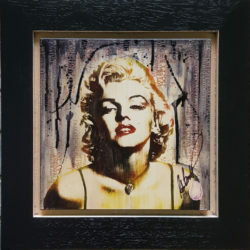 For a number of years, the contemporary artist worked as a cabinet maker. 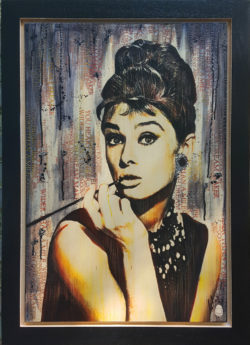 By utilising all of his skills, Rob Bishop has developed a recognisable style of art which fuses modern technology with classic techniques. 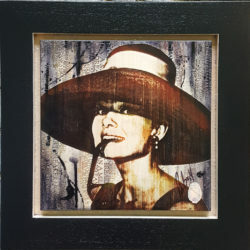 Specifically, Bishop uses a mixed media approach to combine digital art, wood work and painting. 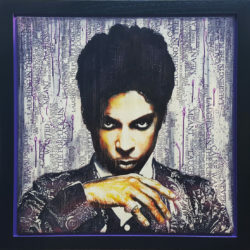 Each individual piece of art by Bishop, including the bespoke wooden frame, has been created in its entirety from scratch. 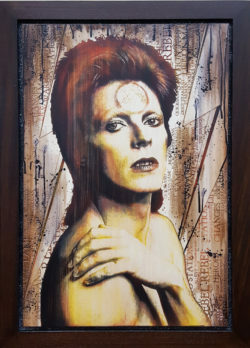 Many layers of wood stain and lacquer are applied to the works to ensure uniqueness in every piece and all of his works and frames are signed and thumb printed. 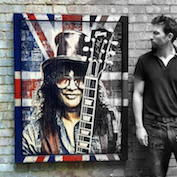 Working as an independent artist, Bishop exhibits his pieces exclusively in select galleries throughout the UK, including CLK Art. 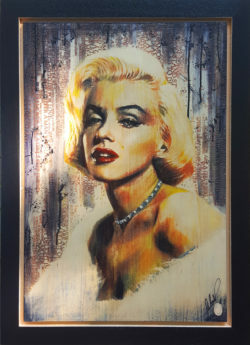 Contact us to discuss any of the amazing works by Rob Bishop, whether an original or bespoke commission.